One of the coolest, most compelling albums we've ever heard from reedman Sahib Shihab – and that's saying a lot, given how much we love all his other music! 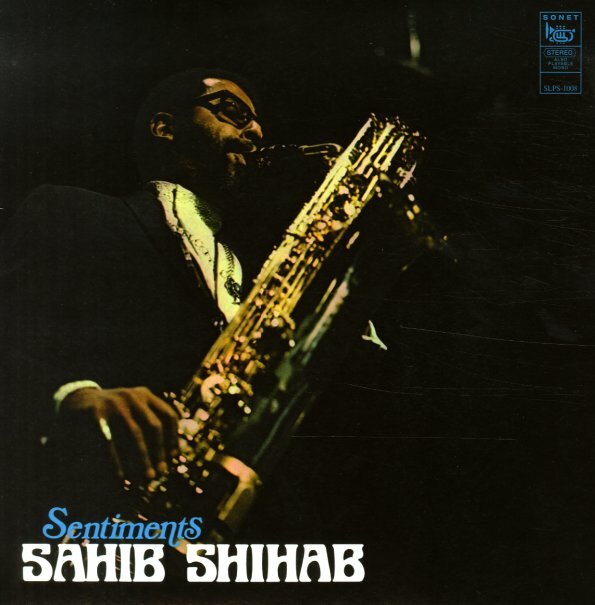 This rare gem's got a very exotic feel –explained by Shihab in the notes as coming from a Tunisian influence on the leadoff track, but which also seems to influence the whole record all the way through – not just in Sahib's amazing phrasing on soprano, baritone, and flute – but also on the album's angular modal rhythms from Kenny Drew on piano, Niels Henning Orsted Pedersen on bass, and Jimmy Hopps on drums. The record's one of the hippest that Drew's ever played on – and has a vibrant feel that's much more Saba/MPS than the usual sessions on Storyville. All tracks are original – and titles include "Ma'nee", "The Call", "Rue De La Harpe", "Sentiments", "From Me To You", and "Companionship". © 1996-2019, Dusty Groove, Inc.